Our partner at Bigelow Laboratory for Ocean Sciences, Dr. Peter Countway, is deploying Biomeme’s technology in Antarctica. Peter is the recipient of an award through the National Science Foundation to learn more about microbial diversity and biogenic sulfur cycling in the region. 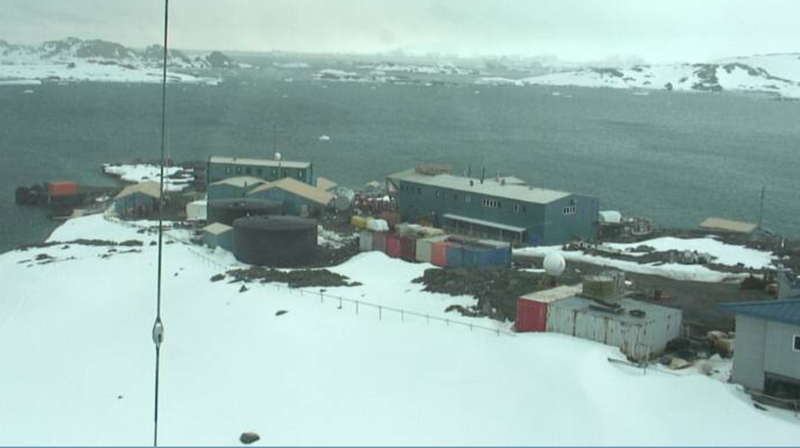 View from Palmer Station on Anvers Island in the Antarctic, where Dr. Countway will be doing his research work. Pete and his team will be using our field thermocycler to study sulfur metabolism genes from microbes found in sea water, which can heavily impact cloud formation and climate. His work aims to better understand microbial diversity and biogeochemical networks in the Southern Ocean. Check out a live feed of his work from Palmer Station here. If you look hard enough, you may be able to see Biomeme’s device on ice! To learn how you can partner with Biomeme, visit our Developer Program page here. Bigelow Laboratory for Ocean Sciences is an independent, not-for-profit research institution. Its research ranges from the biology and ecology of marine microbes to large-scale ocean processes that affect the global environment. Learn more at www.bigelow.org, and join the conversation on Facebook and Twitter.